Congratulations to 2015 5’11 Lindsey Weber from Kettle Moraine High School on committing to NCAA D2 University of Minnesota Crookston. Lindsey has been a member of the Wisconsin Lakers for the past three years, and played for Lakers Black this past summer with fellow NCAA D2 commit Sarah Schumacher who has committed to Quincy University. You will not find someone who is as dedicated, focused, and driven to improve as Lindsey is with her basketball. She put in a ton of time with the Lakers at Skill/Drills workouts, private individual workouts with Coach Mike, and hours on her own in the weight room to achieve her goal of playing at the next level. Lindsey is truly one of the sweetest young ladies that has ever come through the program, she will do what ever she is asked without any hesitation. Her work ethic, drive, rebounding skills, and shooting ability will help her be successful for the Golden Eagles of Minnesota Crookston. Couldn’t be a better fit for her academically as they have one of the best veterinarian schools in the country. We at the Lakers are very proud of Lindsey and can’t wait to watch her in College next year. Lindsey joins her older sister in the D2 college ranks as Olivia Weber is currently a Sophomore at NCAA D2 California Baptist. In the past 5 years the Wisconsin Lakers have now had 34 players accept NCAA D1/D2 scholarships. 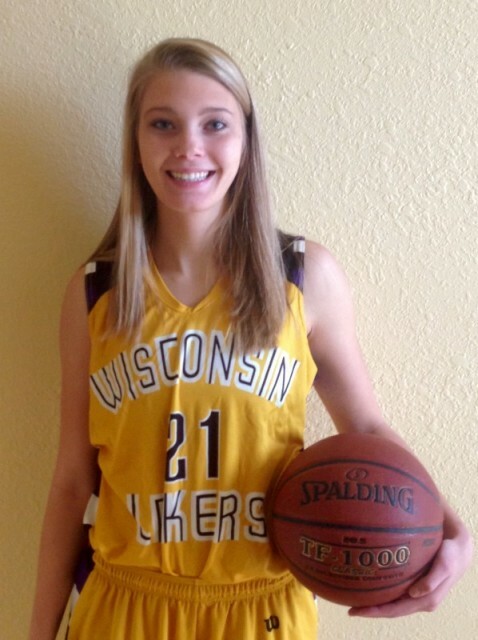 Lindsey is 6th member of the Wisconsin Lakers 2015 class to commit so far to an NCAA D1/D2 program. Congratulations to 2015 Wisconsin Lakers member Emma Meriggioli on accepting a Full Ride Scholarship to play basketball at NCAA D2 California Baptist University. Emma will be the 4th Wisconsin Laker member at CBU next year joining Cassidy Mihalko, Emily Schmidt, and Olivia Weber. Emma’s leadership at the Point Guard position was a key factor in the team success going 51-8, and helped Lakers White win 7/12 events entered including Blue Star Nationals in Augusta in July. Emma’s handling and distribution of the ball is beyond what you can hope for from any Point Guard. Her passing skills and discussion making skills our excellent. She had two great seasons with the Lakers. 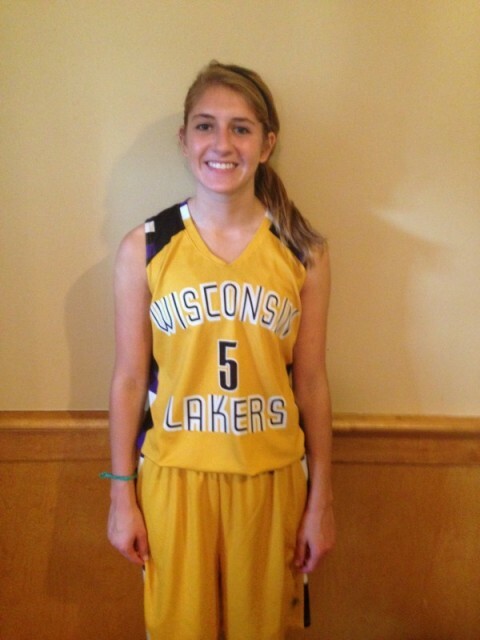 Em is the 5th member of the Wisconsin Lakers 2015 class to accept a Full Ride Scholarship to a NCAA D1/D2 school.